It was Arnis Philippines headed by President Velayo who painstakingly lobbied for the approval of the Bill in both houses of Congress since the time of former Senator Orly Mercado in 1995, the late Senator Robert Barbers and Cong. Miguel Zubiri in 2001 until its passage into law by action star turned Senator Lito Lapid, Senators Miguel Zubiri, Mar Roxas, Richard Gordon, Ramon Revilla, Jr., Aquilino Pimentel, Jr., Congressmen Arthur Pingoy, Jr., Pryde Henry Teves, Cesar Jalosjos, Nanette Castelo Daza and Narciso Santiago III with the help of ARNIS PHILIPPINES Directors Servillano Padiz, Jr. (first President of Sepak-takraw and father of Sepak-takraw of the Philippines), Ramon Dizon (Businessman/ Sportsman), Medardo Quiambao (Businessman/Sportsman), Richmond Velayo (Jeweler/ Sportsman). The law mandates Arnis as a physical education course for the DepEd and will be one of its priorities come 2010 Palarong Pambansa according to Cong. Teves. 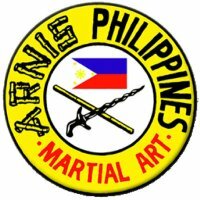 According to Mr. Velayo, Arnis is being practiced in all five clusters of the Philippine Olympic Festival (POF) and in all 17 regions in the Palarong Pambansa, the National-based Sports Program promulgated by the Department of Education, all in coordination with the ARNIS PHILIPPINES, 33rd Official Member of Philippine Olympic Committee (POC) and recognized by the Philippine Sports Commission (PSC).